Sherry Anderson (Saskatoon, Saskatchewan) wins the Boundary Ford Curling Classic, defeating Sijia Liu (Harbin, China) 8-5 at the Lloydminster Curling Club in Lloydminster, Canada. Anderson with Nancy Martin at third, Meaghan Frerichs and Ashley Quick on the front end take home the $6,500CDN first place cheque along with 35.113 world ranking points, while Liu receives $4,500CDN and 25.749 world ranking points for their second-place finish. Starting with hammer, Anderson scored 2 in the first end, then forced Liu to a single in the second end who then added a steal in the third end to even the score at 2-2. After a blank end, Liu stole the fifth end, then forced Anderson to a single in the sixth end. After Anderson stole 2 in the seventh end, Liu responded in the eighth end scoring 2 to even the score again at 5-5. Anderson scored 3 in the ninth end, then ran Liu out of stones in the tenth end for the 8-5 win. In the semifinals, Anderson defeated Robyn Silvernagle (North Battleford, Saskatchewan) 5-3 and Liu defeated Jie Mei (Beijing, China) 8-4. Silvernagle and Mei earned $2,500CDN and 19.897 ranking points for their semifinal finishes. In the quarterfinals, Anderson defeated Laura Walker (Edmonton, Alberta) 7-5, Liu defeated Sayaka Yoshimura (Sapporo, Japan) 5-4, while Silvernagle defeated Kayla Skrlik (Calgary, Alberta) 6-3 and Mei defeated Min Ji Kim (Chuncheon City, Korea) 6-5. Yoshimura, Skrlik, Walker and Kim earned $1,800CDN along with 14.045 ranking points for their quarterfinal finishes. Anderson went 3-0 in the 23 team triple knockout qualifying round. 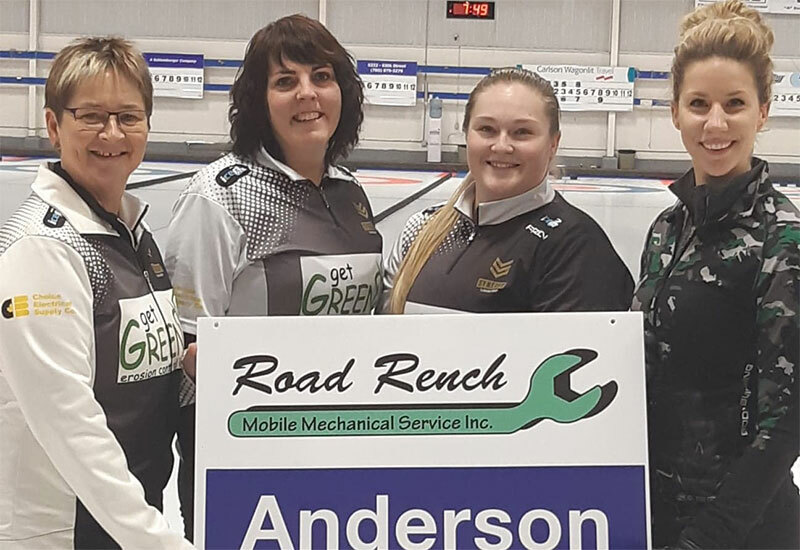 In their opening game, Anderson defeated Rhonda Varnes (Edmonton, Alberta) 8-4, won against Walker 5-4 advancing to an A-Quaifier game where they won 7-5 against Mei to advance to the playoff round.